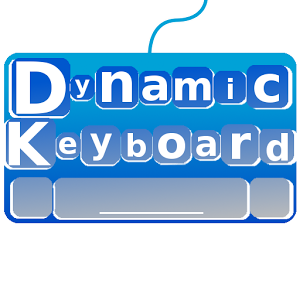 I've been living with Dynamic Keyboard for the last few days. So let's talk about whether or not this app fulfills the implicit (and explicit) promises made by the video. 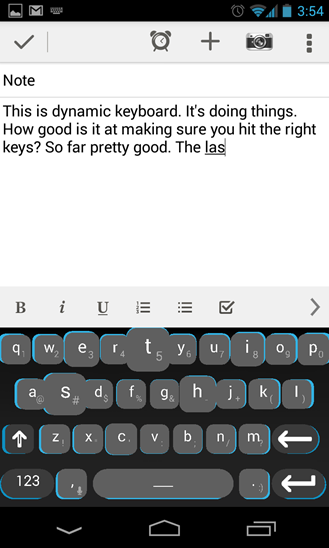 Each letter you type on Dynamic Keyboard is used to estimate which keys you are most likely to go for next. Instead of guessing at words in a suggestion bar, the keys actually swell along with the hit boxes so they're easier to press. 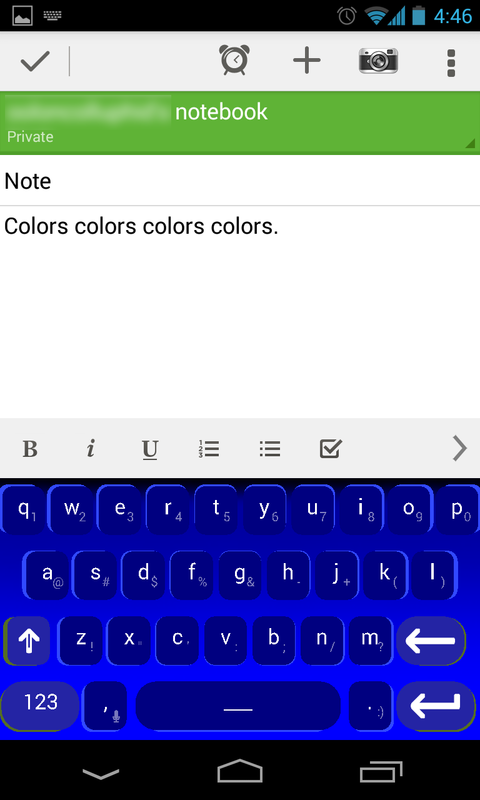 They'll actually overtake the borders of adjacent keys if Dynamic Keyboard is really positive you're going there next. That's the headlining feature, but it also does most of the other things you've become accustomed to an app of this sort doing. 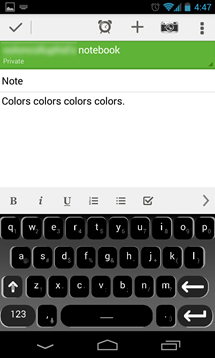 It has the double-tap period insertion, customizable themes, multiple key shapes (rectangle, square and circle), and autocorrect. With regard to that last point, the app didn't have autocorrect when it first launched. An update added it, which is certainly nice. 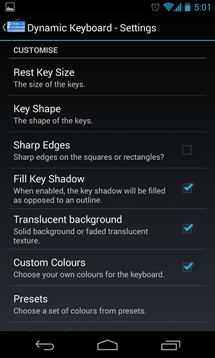 Dynamic Keyboard has a ton of settings to tweak the experience. You can change the animation level to be completely off, smooth, or bouncy. The video had the keyboard set to bounce. It looks neat, but it is distracting in real life. The smooth animation is fine, though. The degree to which the keys expand can also be changed as you like. This app has a lot of languages supported at launch, and actually permits you to so something pretty neat. If you're bilingual, you can have two languages active at once for key prediction. 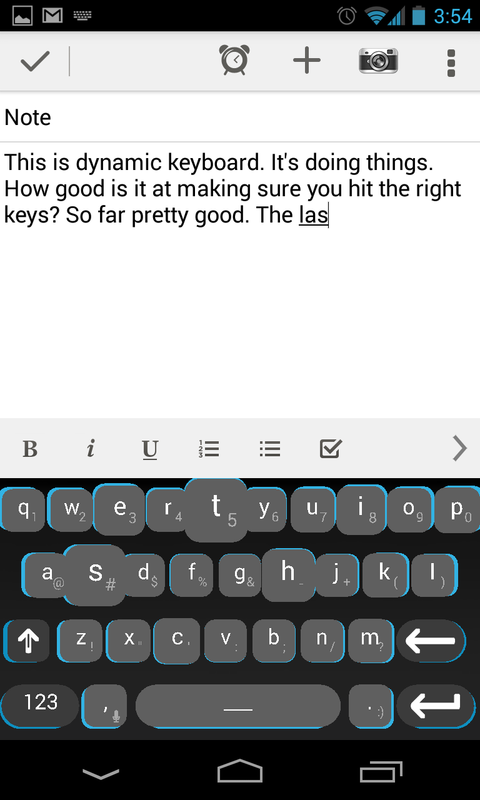 But that's only going to be useful if Dynamic Keyboard is worth using. 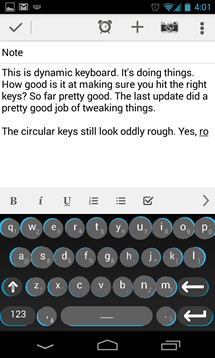 Cutting to the chase, Dynamic Keyboard works better than I thought it would, but not as well as I'd hoped. This keyboard is definitely doing good predictions of a lot of words, but the accuracy is only close to perfect when you get near the end of the word. I feel like it needs more context. Let's use the word "neat" as an example. So you press the 'N' key and several others puff up, and one of them is 'E.' This is good. Press the 'E,' and again, several keys puff up. The next letter you're going for is 'A,' but that's not one of the enlarged keys. Instead, 'S' has grown. If you press 'S' it becomes clear Dynamic Keyboard thinks you're typing "nest." If you get in there and tap 'A' instead, the 'R' and 'T' both swell, which is what you'd expect. 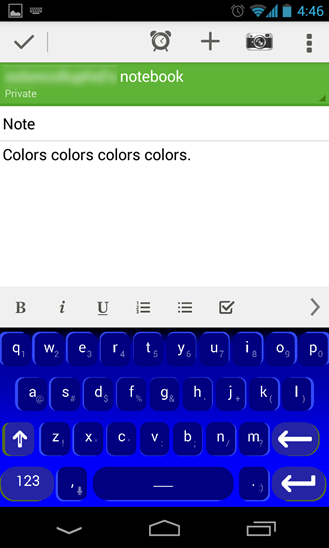 The above is just one example of the limitations in Dynamic Keyboards. 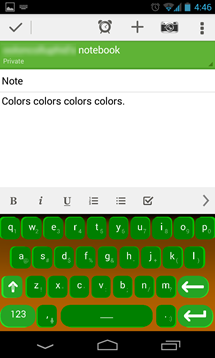 No matter if the 'ne-word' is proceeded by "that's pretty..." or "the bird sits in the..." Dynamic Keyboard has the same predictions. 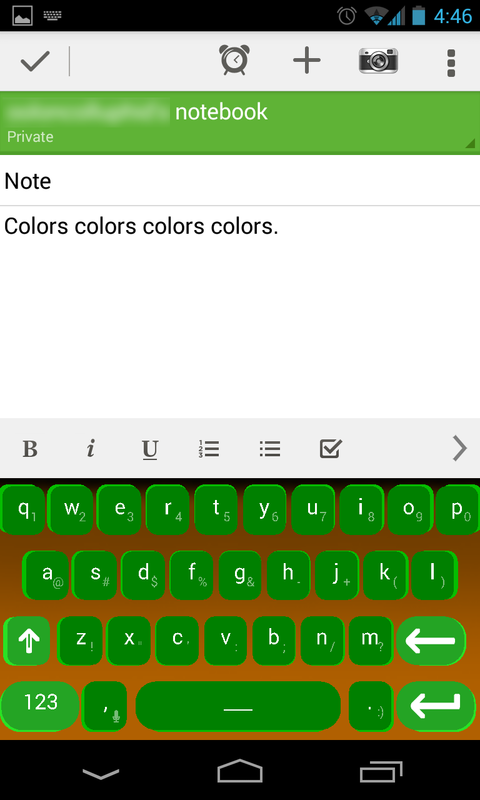 It doesn't use the context of the previous words like, for instance, Swiftkey. 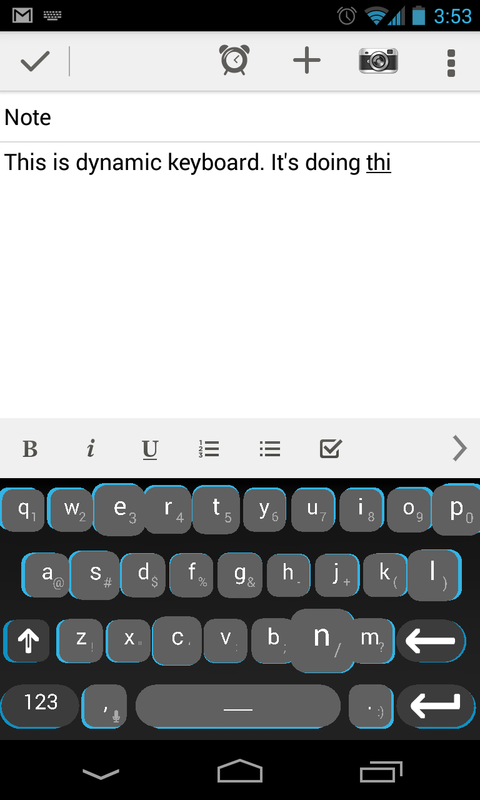 Does that make Dynamic Keyboard bad? No, not really. A lot of words are predicted right, at least for most of the letters. 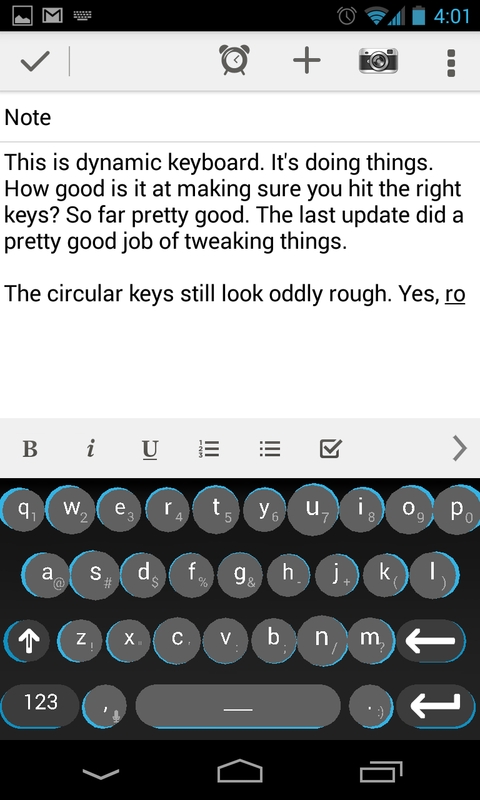 It works out to a slight boost in getting the right key. 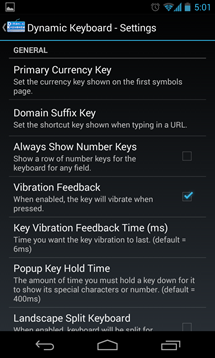 Rarely do I feel like Dynamic Keyboard is causing new errors. 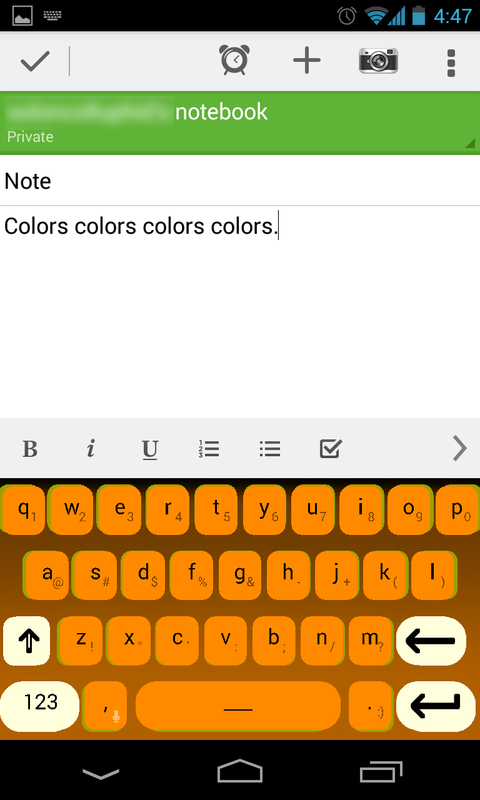 The keyboard looks nice, as long as you spring for the Pro version. The free edition doesn't have all the customization options, and one of them is "HD Fonts." The app actually looks pretty bad without this enabled. 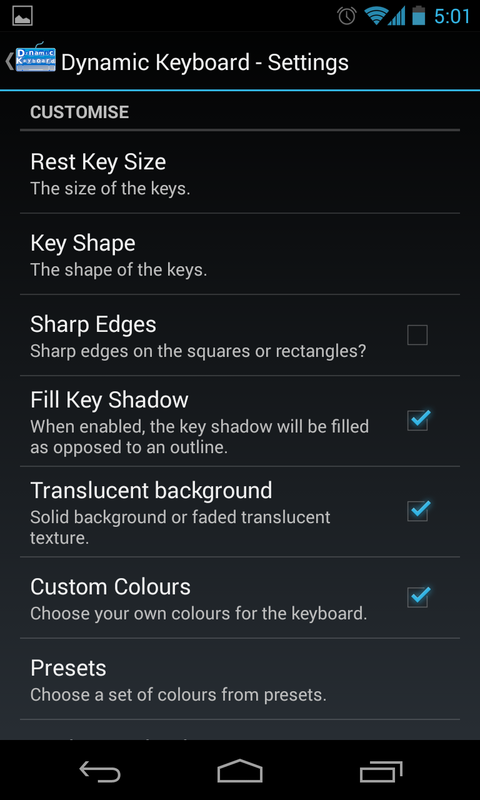 The round keys also look a bit aliased to me. As for the themes, a lot of them are a bit much. 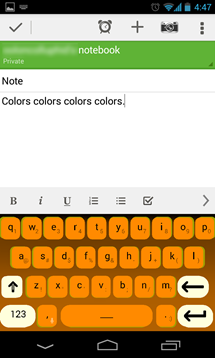 But if you want bright orange keys, Dynamic Keyboard can make that happen. 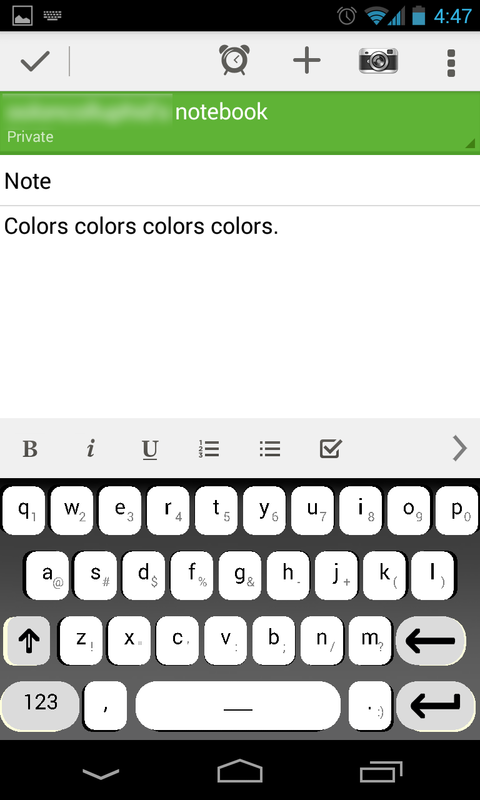 I've noticed a bug that will probably be fixed before long, but it relates to the autocomplete, which I need to discuss anyway. 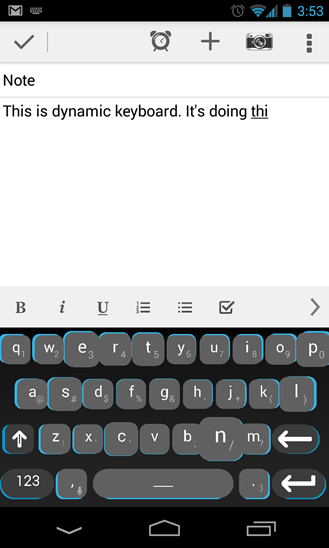 If Dynamic Keyboard doesn't know a word you type, it will make it into one. This is far too aggressive, and will be an annoyance to anyone who uses a lot of non-dictionary technical lingo. 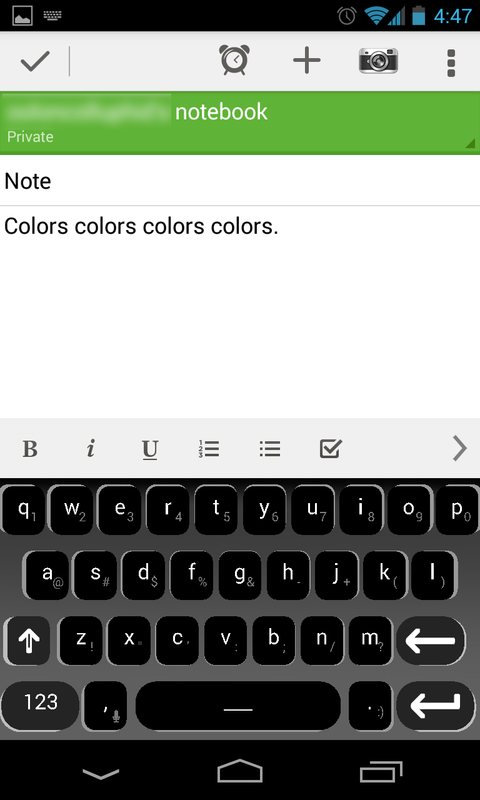 As for the bug, hitting the backspace key to undo the correction simply inserts what you typed after the autocorrect fail. Very odd. 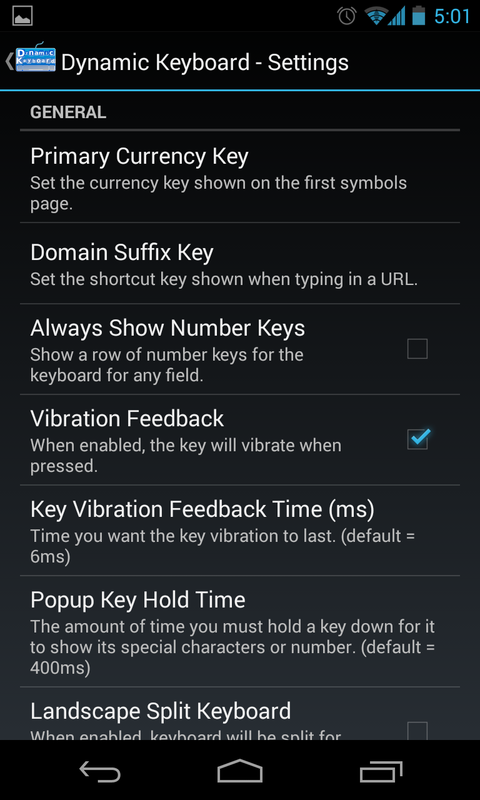 This was tested on a stock Nexus 4, by the way. 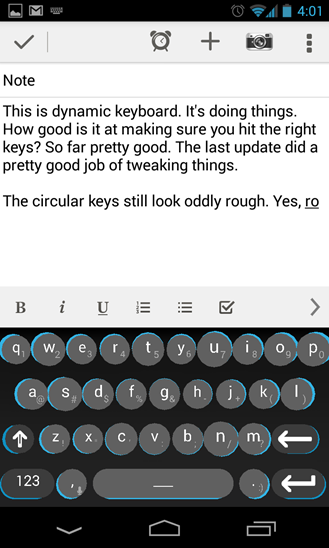 I don't think Dynamic Keyboard is going to be my day-to-day input method, but I still use stock Android most of the time with SwiftKey thrown in on occasion. 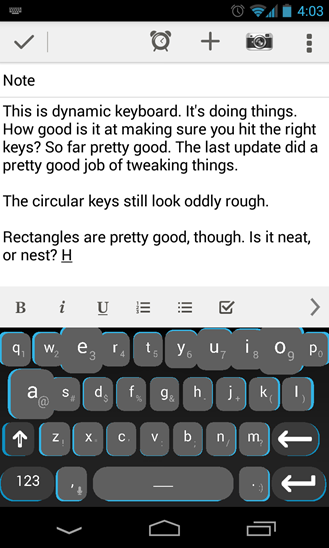 I've tested a lot of third-party keyboards, and Dynamic Keyboard is above average. 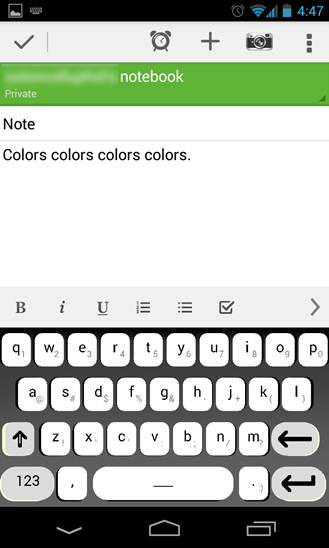 I feel like I can tap out words quickly with a low number of errors. It does something neat, and I suspect it has real potential. Is potential worth $0.99? Well, maybe.